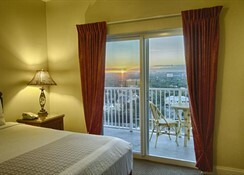 Blue Heron Beach Resort has a host of amenities to enhance your stay in Orlando while being close to many of the major attractions including Disney theme parks. 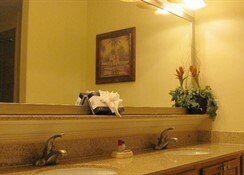 It is a great location to spend a golfing holiday as there are several courses close by and staying at the hotel allows you to avail of transportation to Lake Buena Vista Golf Course. With One and Two Bedroom Apartments available which can sleep four adults and two children, or six adults and two children this is a family friendly resort that is also popular with couples and larger groups. 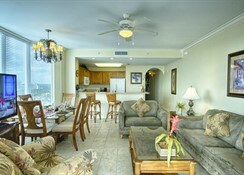 The Blue Heron Beach Resort also has a shuttle service to major attractions. Located on Lake Buena Vista, Blue Heron Beach Resort is close to many golf courses including Hawks Landing (700 yards), Ponce De Leon (800 yards) and Disney’s Lake Buena Vista Golf Course (2.5 miles). It is easy to get to the theme parks and attractions with the resort shuttle and this includes Disney Springs (1.2 miles), Epcot (3 miles), SeaWorld (3.6 miles), Disney’s Animal Kingdom (5.5 miles), Walt Disney World (5.8 miles) and Universal Studios (7.4 miles). The Orlando International Airport is 12.5 miles away. 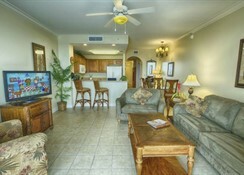 Blue Heron Beach Resort has One and Two Bedroom Apartment options. The One Bedroom Apartments can sleep four adults and two children and have one extra-large double bed, one sofa bed and one bunk bed while the Two Bedroom Apartments can sleep six adults and two children with two single beds, one extra-large double bed and one bunk bed. 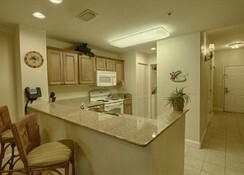 All the apartments have free Wi-Fi, a fully equipped kitchen, dining area and TV. 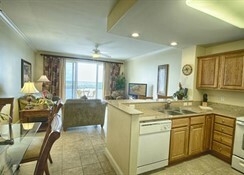 There is no restaurant on-site at the Blue Heron Beach Resort as all the apartments come with a fully equipped kitchen where you can make your own meals. You will find eateries in the nearby area including Hurricane Bar and Grill and the various outlets in the close by shopping malls. There is an outdoor pool and hot tub at the resort. 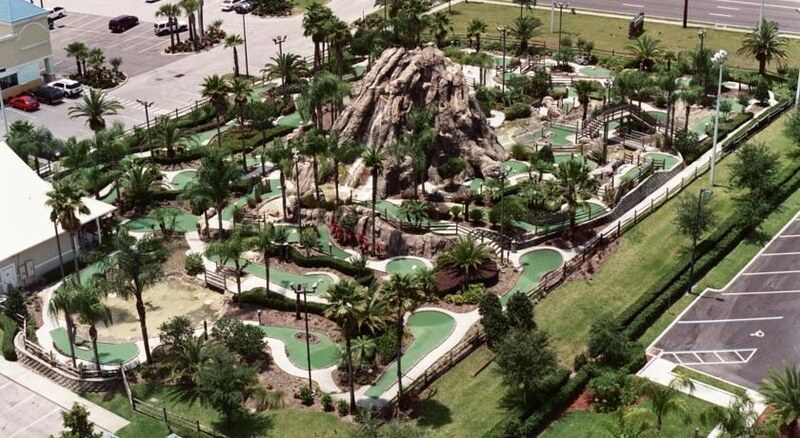 Guests can also play miniature golf that is located next to the hotel while there are several golf courses in the nearby area which includes Hawks Landing, Ponce De Leon and Disney’s Lake Buena Vista Golf Course. Shoppers have the option of Prime Factory Outlet Mall and Lake Buena Vista Factory Outlet Stores. The House of Blues live entertainment venue is just over a mile away.